According to the World Bank‘s 2013 Doing Business Report, South Africa has been joint-ranked, along with Malaysia and the United Kingdom, as the easiest country in the world for small and medium-sized enterprises (SMEs) to access credit. Gerrie van Biljon, executive director of Business Partners Limited, says that this will be the third year in a row that South Africa has achieved the ranking and that that it is a very encouraging sign for small business owners locally. via Access to credit still easy in South Africa – World Bank report. 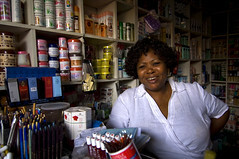 In sub-Saharan Africa 36 of 46 governments improved their economies’ regulatory environment for domestic businesses in 2010/11‚ which is a record number since 2005. The World Bank said this was good news for entrepreneurs in the region‚ where starting and running a business was still costlier and more complex than in any other region of the world. African leaders have called for a continental free trade area by 2017 to boost trade within the continent‚ which should further boost the opportunities available to SA companies. via News | SA gains one position in ‘Ease of Doing Business’ | Bizcommunity. 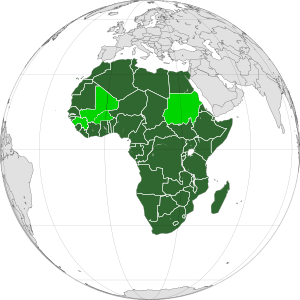 AMBITIOUS PLANS to create a continental free trade area in Africa, first suggested 21 years ago by regional leaders, were recently adopted by the African Union. The union says the free intra-African economic trading system should be operational by 2017. On January 31st at the union’s 18th summit in Addis Ababa, Ethiopia, governments were told they needed to build infrastructure worth an estimated €46 billion over the next 10 years to facilitate the free trade zone across the continent. While this target was acknowledged as challenging, Ethiopian prime minister Meles Zenawi was mandated to lead a seven-member heads of state committee, called the high-level African trade committee, to look into ways of raising the funds required. The taxation of aid money in Africa, taxes from minerals and mining deals and revenues drawn from dealings with banks and multilateral bodies have all been suggested as ways to fund the continental trade boost. 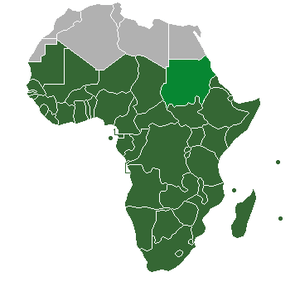 The development of trade between African states has increasingly become a priority for the African Union because of its member states’ inability to tackle widespread poverty, despite annual economic growth rates above 5 per cent in many member states over the past decade. Although African economic growth slowed in 2009 due to the global recession, regional gross domestic product (GDP) was well above rates posted in countries in Europe and the US. By 2010, the continent had bounced back with GDP doubling to 5.4 per cent that year, according to the World Bank. Nevertheless, despite this success South African president Jacob Zuma has pointed out that less than 10 per cent of Africa’s trade is between its states and that boosting this area should be a priority as a way to further develop the continent. 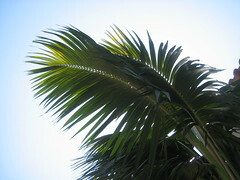 via Major challenges remain for African free trade area – The Irish Times – Mon, Feb 13, 2012.